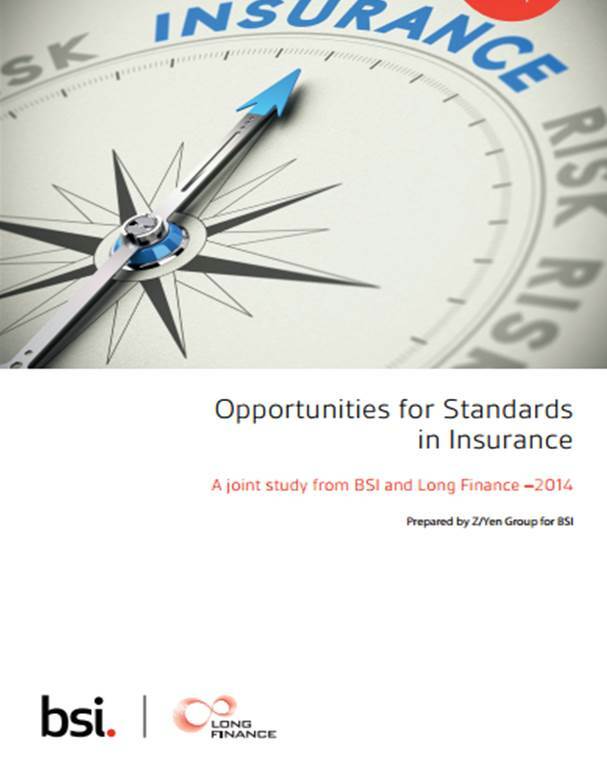 This report provides an overview of the opportunities for standards development in the insurance industry (particularly wholesale insurance) that emerged throughout this study, based on interactions with industry professionals and associations during workshops, informal discussions, and responses to an online questionnaire. The research showed that voluntary standards market approaches would be particularly suitable around product development, product information and processes in insurance. Respondents confirmed the striking need for standards aiming to improve transparency, information quality and access in order to increase customer satisfaction and product comparability in insurance. Such standards could take the form of a ‘Fair Insurance’ product information standard (similar to the Fairbanking scheme but for insurance). These could build upon recent achievements, such as the first life insurance product that was awarded (in August 2014) a trusted mark in accordance with the Sergeant Review of Simple Financial Products and based on an independent certification process run by BSI – the BSI Kitemark for Financial Products.